Welcome to Colonial Carolina Summer Camp at Drayton Hall! We met some new, cool summer camp participants this morning! After introductions, camper-historians learned about the Native Americans who once lived in the area through a dialogue led by Ms. Amber. Our young historians shared what they knew, asked questions, and viewed a collection of materials related to Native American culture. 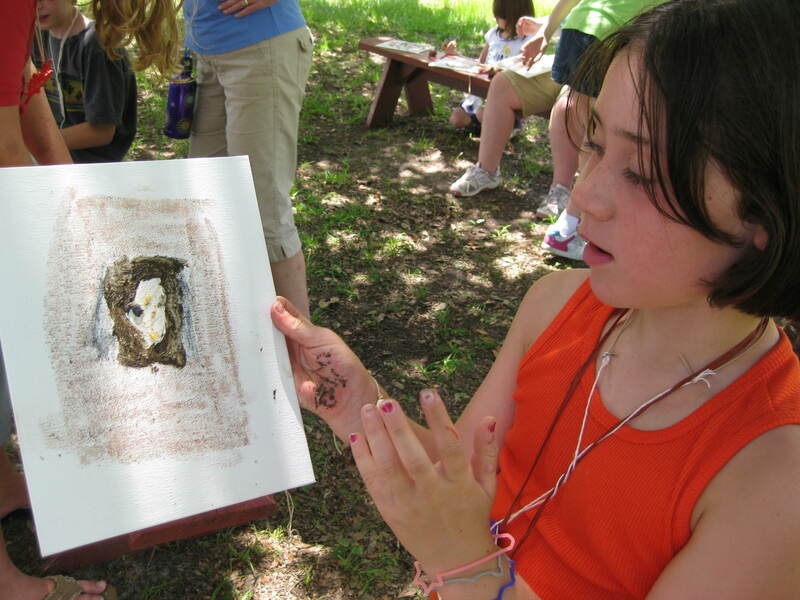 Then, campers created pinch-pots, using the same techniques as Native Americans. (The pots are baking in the sun right now!) 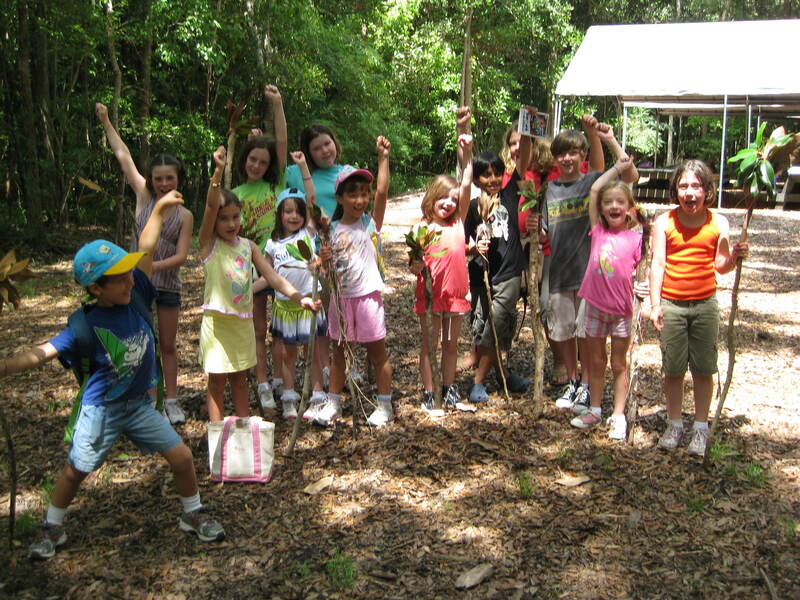 Feathers, gum balls, and leaves adorn walking sticks that campers made next. 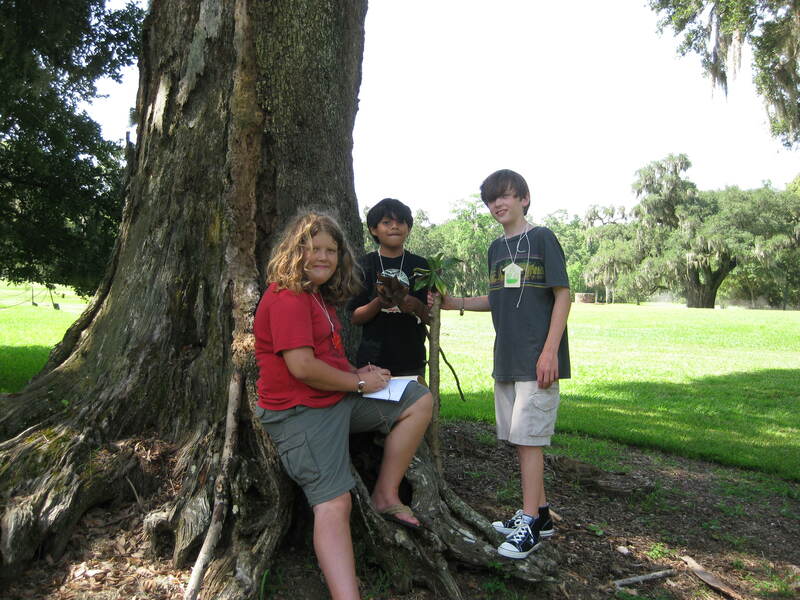 Camper-historians enjoyed exploring the property on a nature walk with Ms. Liz, during which time they viewed low country foliage, wildlife, and learned about the property’s history. 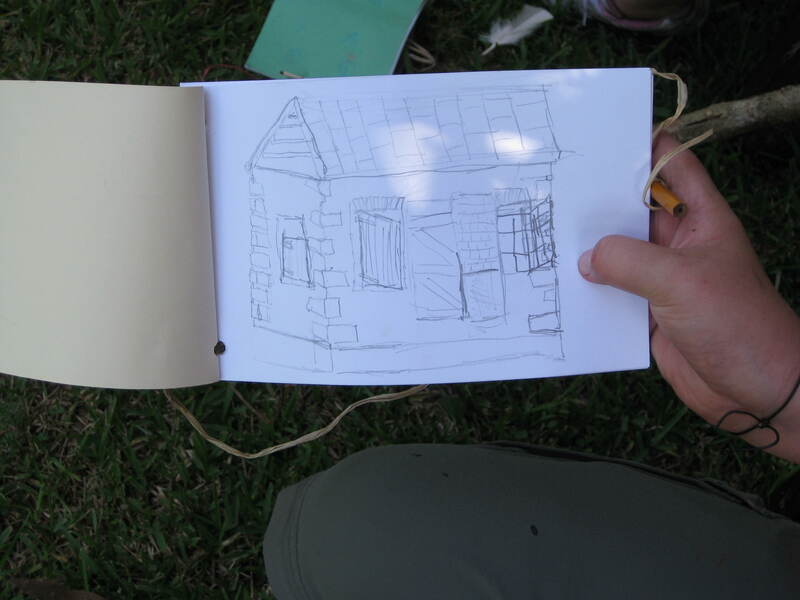 Throughout the morning our historians recorded thoughts and sketches in a booklet – scrapbook of sorts – which will accompany them home at the end of the week. The nature walk concluded with an art project by the Ashley River where our campers only employed natural materials such as clay, blueberries, Spanish moss and, yes, even pluff mud! Thank you for a wonderful first day! We look forward to getting to know you better in the coming week!